Slimmer Playstation 3 Gaming Is Seemingly A Reality. John Koller won't like this. A strong rumour coming out of Joystiq towers seems to be hinting that two Taiwanese firms have been awarded contracts to manufacture - dum-dum-dum - the PS3 Slim. 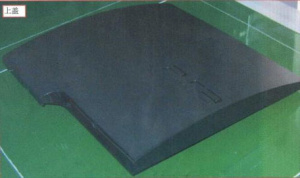 According to UDN.com the contracts have gone to Foxconn and Pegatron — guess what else they manufactured - yup, the original PS3. The device is said to ship in July "to cope with expected summer vacation demands", which, hey guess what, is when people in Japan tend to buy video game systems. This is still rumour but, seriously, much like the PSP Go, there has been way too much talk about it for there not to be some element of truth.